Founded in 1950 by WGA President Jerry Bowes, the Par Club program has grown to more than 26,000 donors annually and is the primary source of funding for Evans Scholarships. Currently, 870 caddies are attending college on Evans Scholarships. Each scholarship covers full tuition and housing for four years. 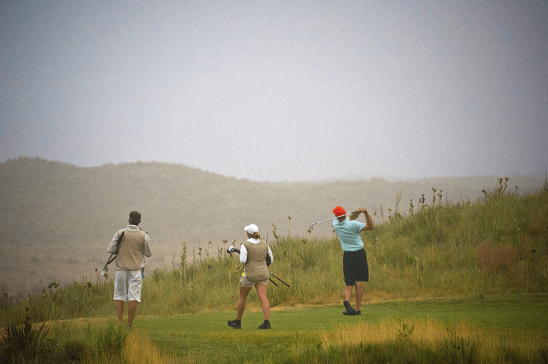 Ballyneal has developed a close relationship with the Western Golf Association and their Evans Scholar Foundation. They have accomplished a great amount of support for caddie programs across the United States. Ballyneal is proud to say that 75% of our Members contribute to this success. In our short history, we have had nine of our caddies receive financial aid from the Foundation. We have well-deserving caddies season after season with an opportunity to become the newest Evans Scholars.